Our ever-popular, APH Park and Ride service offers airport parking at a price that won't break the bank. Efficient and convenient, we guarantee that once you have used this service, you will come back time and time again. Transfers are included with the price and only take 15 - 20 minutes to get you to the terminal door. Park up, unload your luggage and board the bus, it's that simple. You will jet off on holiday with the piece of mind that your car is parked safely and securely. APH Park and Ride at Birmingham Airport is easy to find, just minutes from the motorway, follow our directions, use our map or put your postcode into our directions finder. Upon your arrival, simply pull up outside of the reception, when you check-in the friendly and professional staff will take your keys and park your car for you whilst you are free to hop on board the comfortable transfer bus for your short 15 - 20 minute journey to the airport. When you return from your holiday, hop back on the bus outside of the terminal doors and one of APH's fully insured, professional drivers will have your car ready and waiting in a departure bay for your journey home. Staff as always polite and helpful. Drivers also good helping with our cases. Thankyou. 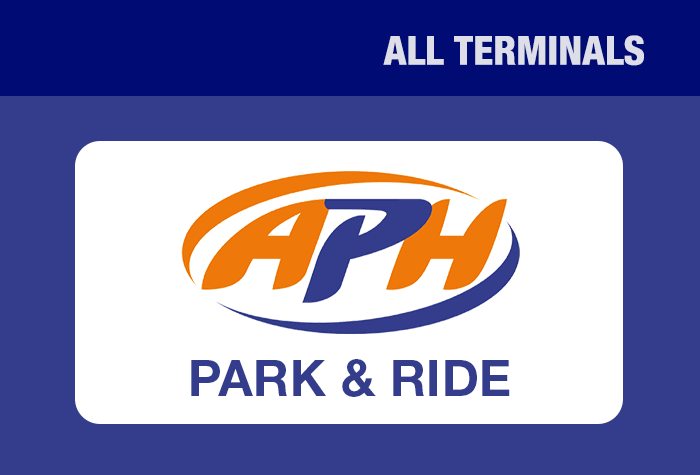 Our customers rated APH Park And Ride on average 9/10 (1408 reviews). Read APH Park And Ride reviews. Get a great, secured car park, just 20 minutes from the airport! APH offers efficient and convenient airport parking that won't pull at your purse strings. It's only 20 minutes from the terminal, with transfers included - no wonder APH is so popular! When you arrive at the car park, park your car and walk to reception. You'll need to hand over your car keys and you'll be given a number to call on your return. Then, just hop on the transfer bus which is included in the price and you'll be at the terminal in around 20 minutes. Buses run every 10 to 15 minutes and are included in the price. While you're away, your car will be parked for you in APH's award-winning, secured car park. It has CCTV, entrance and exit barriers, floodlights, fencing, and 24-hour security patrols so you can be sure your car will be looked after. On you return back to the UK, collect your luggage and follow the instructions you were given when you checked to arrange a bus back to the car park. Once you're back at the car park, collect your keys from reception and drive home. It's that easy. If you're looking for an affordable car park with fantastic security, then book APH today and you'll get the best deal possible. This car park does not accept large vehicles such as transit vans or any vehicles with trailers. Transfer buses are unable to transport bikes, surfing/windsurfing boards or items of a similar size. Please allow at least 45 minutes for check-in at the car park and transfer to the airport. During peak periods and rush hour times, we recommend you allow extra time. Transfer buses are wheelchair accessible and there are disabled toilets in the car park. In special circumstances, additional help can be arranged. Call us on 0800 093 5478 and one of our team will contact the car park to make the arrangements for you. The car park runs its own transfer bus to the airport every 15 minutes. The journey takes 15-20 minutes and your ticket is included in the price. When you get back, you can catch the bus back from where it dropped you off.